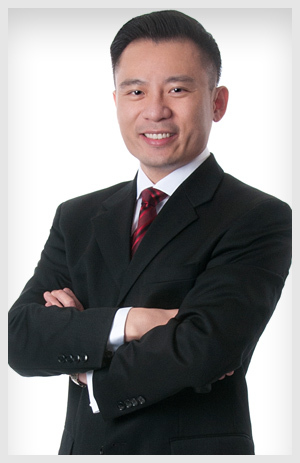 Like you, Kevin Hwang has been a successful business leader for many years. He developed and operated a range of lucrative product and service businesses for more than 15 years. For eight years, Kevin served as owner and chief executive officer of innovative self-funded ventures across international markets. Kevin has in-depth experience of real estate investing, financial services, imports & exports, and custom furniture manufacturing. He achieved his Bachelor of Science degree in Business Administration (UNLV) in 2001, and an Executive MBA (UNLV) in 2009. Kevin’s decisive, goal-oriented character facilitates a clear structure for others to follow. He has a unique ability to tackle even the most challenging of business cases by implementing fail-safe solutions that drive growth. With over a decade of experience as a ‘real-life’ business leader, on the ground, and in-the-field, Kevin appreciates everything he has learnt, particularly within the digital and interactive space. Kevin believes that modern-day marketing techniques take growth objectives to a whole new level. In June, 2009 Kevin founded iAd Media in Las Vegas. Its mission is to empower small businesses by employing a managed service dedicated to streamlining digital marketing campaigns that offer measurable results and maximum returns. Often referred to as the “Ace” for always having his finger on the pulse, Kevin makes decisions based on facts rather than anecdotal information. You may hear him ask a question like “What was the ROI from those marketing campaigns in 2014 & 2015?”. And, yes, sometimes people get flustered while checking their piles of data to provide an answer, or more commonly, an educated guess. This is where Kevin comes in. He is an expert analytical thinker who understands how to achieve quantifiable results. What’s potentially more significant is that Kevin knows how to get to the root of a problem by interpreting complex data, and gauging performance in a way that can literally turn a business around in quick time. No matter what level of analytical-thinking his clients engage in, Kevin is adept in breaking down information into bite-size chunks, so it can be easily applied to real-life marketing challenges. As a seasoned marketer, Kevin is creative, technical and driven. He believes that a successful marketing campaign requires an awareness of all aspects of the situation. Always thinking before reacting, Kevin carefully considers the business consequences of a particular move for his clients, followed by deliberate action to secure high quality results. Kevin moved to the US when he was 15 years old. He is fluent in Chinese Mandarin and Taiwanese. Kevin’s East/West influence gives him a fascinating level of insight that is hard to come by.